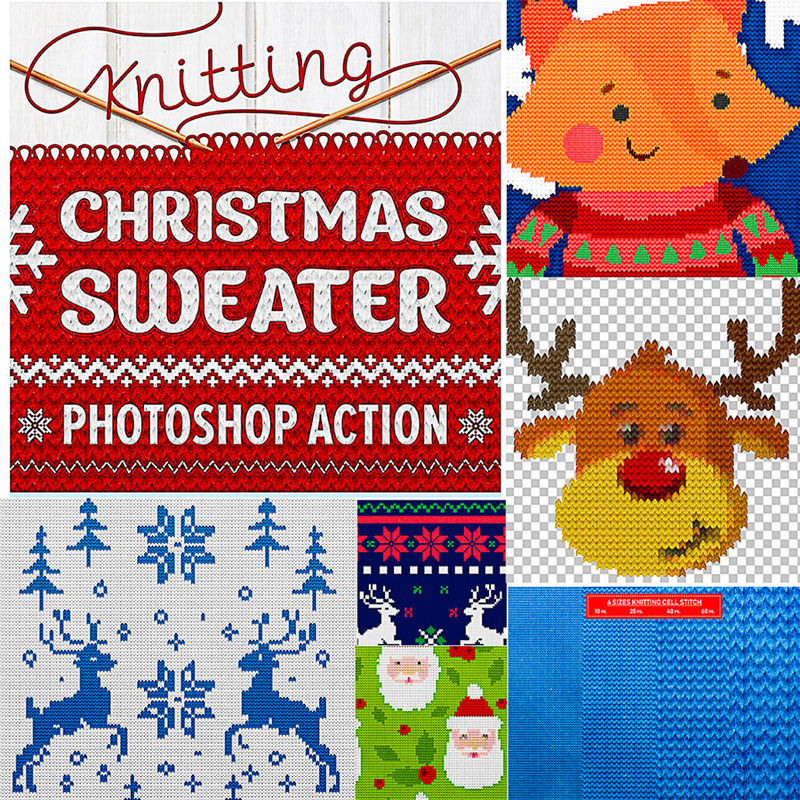 A set of actions to create a realistic knitting pattern with only a few clicks! The action has been tested and working in Photoshop since version CS6 and newer versions. Action preserves transparency Work with any type of layer: text, picture or vector shape. 4 sizes knitting patterns. Multilingual – action work in Photoshop with any language UI. 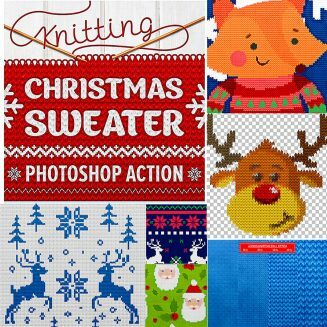 Tags: actions, Christmas, christmas sweater, jumper, knitting, New Year, pattern, photoshop, photoshop action, snow, sweater, sweater action, text, texture, thread.